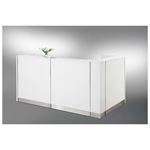 Be sure to give your guests a great first impression with one of Empire Office Furniture's modern and professional reception desks. 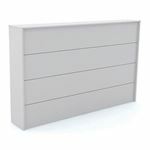 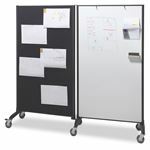 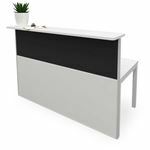 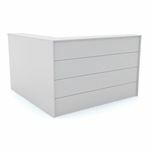 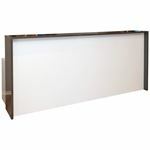 We have a variety of counter styles so that you can find the perfect colour and shape combination to complement your reception area. 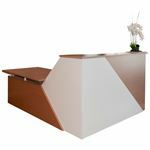 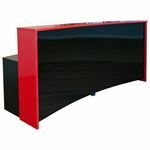 A lot of our reception desks are available in a custom design so that they can meet your entrance specifications, ensuring the most efficient use of space. 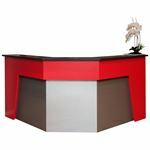 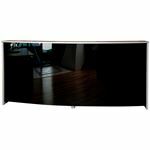 Clicking on the products you're interested in below will reveal if that specific reception desk is available online or in a custom design. 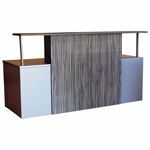 You will also find more photos to get a better idea of how these counters can look in a reception setting. 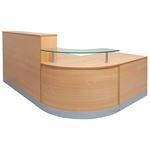 If you'd like to head to your nearest showroom, one of our specialist team will be able to help you find a reception desk that is the perfect fit for your reception area.